How can I reuse or recycle … cd spindles? | How can I recycle this? How can I reuse or recycle … cd spindles? As I’ve said before, we go through quite a lot of compact discs. John tends to buy them in 50 or 100 packs and sometimes gets them on a fancy spindle thing. If you can’t quite see it from the photo or know what I mean, it’s a plastic base with a spindle sticking out the middle, with a clear(ish) lid over the whole thing. The spindle thing is useful for keeping the blanks in one place but once you’ve burnt them all, it gets to be a bit of a pain to have to sort through the whole stack whenever you want a particular disc. So any suggestions about what we can do with the spindle box – and its lid – when we’re done with it? ok only hold a smallish cake but… put in the fridge mayhap? Pretty dangerous; this plastic – Recycling Code No. 6 PS (Polystyrene) – is not meant to be in touch with food … May leach styrene, possible human carcinogen. Maybe a hormone disruptor. …do you mean to say that none of you have used them as a toilet roll cover. I thought that’s what they were for..!! You don’t have to only use them for cake. You can also cut the spindle part off and put fruit in them. Very unadviseble; this plastic – Recycling Code No. 6 PS (Polystyrene) – is not meant to be in touch with food … May leach styrene, possible human carcinogen. Maybe a hormone disruptor. also think about cutting off the spindle and using it upside down in the fridge to hold soup or other leftovers. Don’t do this; this kind of plastic is dangerous and will contaminate food. ooooh! this is my best idea so far! cut a slit in the side of the case covering and put a roll of duct tape or packing tape on the spindle. thread the tape through the slit in the side and leave a bit hanging out after each use so you dont have to pick at the roll of tape to get it started again. luv it. I’m gonna use that idea. 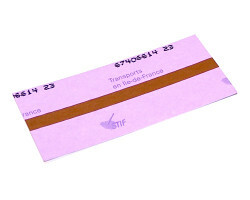 Or just, you know, fold over a little piece of the tape when you’re done using it. These would be handy to help seedlings moist… with or without the spindle. 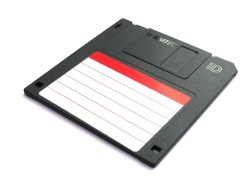 Some crafty people would use them to store stuff so it’s easily seen – but you’d have to turn it upside down to open it. Send them to me ! I re-use lots of spindles (and am ever having to replace) as part of a Cd ripping service. I can collect if geography / quantity are OK.
Are you still after CD Spindles , I’ve got a few! Where are you? We’re near Derby. I need to get old spindles as I use them all the time and need more. If you get a 10 pack, use the lid as a plant saucer. You can turn these into growers for bean sprouts. Using a soldering iron make a few large holes in the spindle and lots of tiny holes on the base, then leaving about 4cm at the top of the cover pierce small holes all round. To sprout your beans, add your mung beans and fit the two halves together, add water down the spindle to the level of your first line of holes and let soak for 24 hours.Next day turn your grower over and allow the water to drain away. Place somewhere dark. Once or twice a day rinse your sprouts adding water through the spindle and the allow to drain. After about 5 days you should have a nice crop of beansprouts. Take the stalk out, and use it as a mini greenhouse for rooting cuttings on the windowsill. Use as mini cloches in the garden. 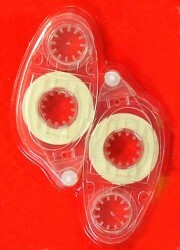 You can use them to wrap wires around. especially ones you use often so that they do not become tangled. The spindle can be used as a really cool top that will entertain you for about ten minutes. you can make a puding put it inside and whent its cool turn it pu a plate on top tun it aound shake it a bit so the puding gets out and the hole that is in the middle can be used to put in some fruits od syrup so it looks better. i’ve done it only with the smaler boxes for 10 cd’s. it also maybe tried with jelly. The hubby came up with a good one the other day. Saw off the spindle, invert and screw the base to the underside of a shelf or cabinet. This will make undershelf storage for stuff like screws crafty bits and cooking sundries when the tops are filled and latched in under the shelves. It’s the same as the old tip with jam jars….except with CD spindles. My workplace goes through loads of these, I have at least 50 right now.. is anyone interested? I am looking for a source for the CD “cake box” clear covers. I could use them with the spindle (post) also and discard the post. Do you know how I can get some? Just a variation on the toilet paper holder/ dispenser. If you cut a paper towel roll in half (I find a serrated bread knife works best); it’s practically the size of a toilet paper roll. Coax out the roll in the middle. Cut out the middle circle on the spindle cover. Put in the half paper towel roll (now sans paper roll). 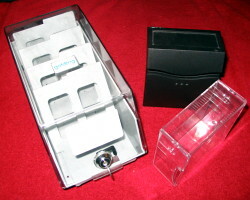 Cover with spindle cover. Now coax out that first sheet from the middle circle cut out.. viola, a paper towel dispenser thats great for the car! Or anywhere else you could use paper towels that need a protective case. I see a hydroponic hanging basket. I COULD USE A FEW OF THESE FOR C D’S MYSELF. Please keep in mind that not all plastics are food-safe. 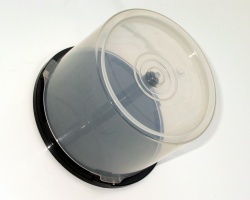 CD spindle lids are not made for food storage, and may off-gas plastic fumes into your foods. Actually, CD/DVD spindles are in the same plastic chemical class as most food storage products. Apparently, contrary to the knowledge of most of the people that use my community recycle station, not all plastics are currently recyclable; at least not in our area. We are supposed to look for the number corresponding to the class on the plastics before we just dump them in the recycle bin. CD/DVD spindles are a #5 or #6. Code 5 is like butter tubs, Tupperware, Rubbermaid, and other food storage items. Code 6 is like grocery meat trays, plastic cutlery, etc. So no need to worry about hazardous fumes/gases leaking from the plastic into your food with the spindles. Tahanet: please do your research before posting information out of your bum. That’s assuming of course that the plastic which is classified as safe for food packaging is actually safe. The phthalates used in plastic packaging acts like human oestrogen and can damage reproductive functions. In theory, the permitted levels in the EU are safe, but other countries have gone further in banning them altogether (they serve no real purpose in the plastic anyway – they just soften it). In addition, recycling plastic may actually make things worse because the Type 1 plastic is supposed to be free of the harmful type of phthalates, but during recycling it can be contaminated with other plastic. In Denmark you buy drinks in glass bottles and take them back to the shop to be re-used. thank you for whole ideas. A very handy way of reuse of cd-spindles is: make a tiny hole in the transparent side. Now you can keep bolls of string, (iron) wire and wool or whatever safely inside. Just pull the end (or beginning =D) through the hole as far as needed and cut it off (always leave a piece at the outside) and you won’t have problems with inextricable clews any more. i have been supplying them with waste cd’s for 2 years now and they never supprise me with how helpfull they are , i think the web site has all there details. Please let me know if you require any other information ! !